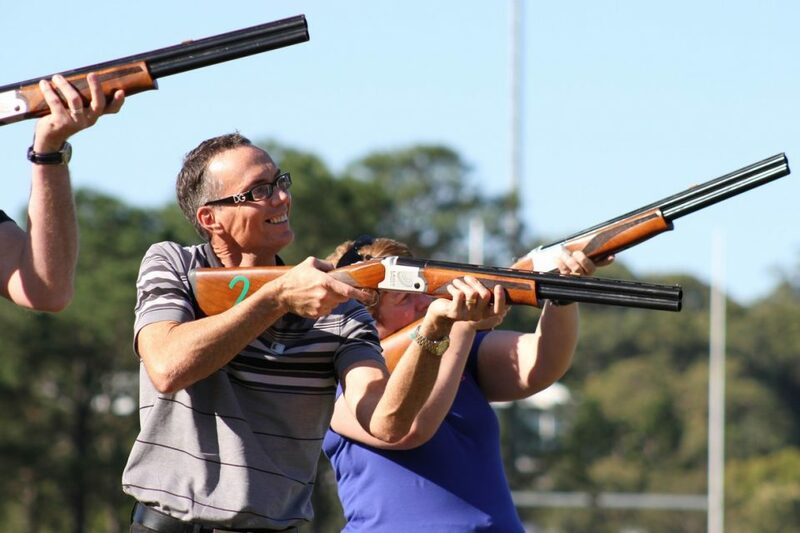 Experience excitement and an adrenaline rush when you pull the trigger and hit the clay targets as they fly through the air in this fun, safe twist on clay pigeon shooting. 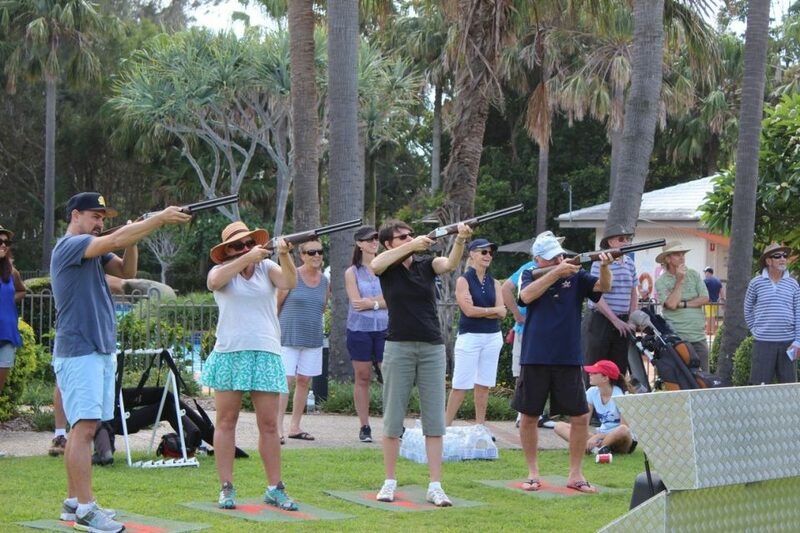 What makes Laser Clay Pigeon Shooting so popular? Clays flying overhead, the sound of shotgun blasts, your team cheering as you score a direct hit! This is the very best in interactive activities. 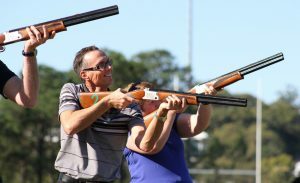 Regardless of age or skill, you will train your trigger finger and compete on a level playing field with this fun, safe and unconventional laser twist on clay pigeon shooting. Why partake in a laser clay adventure? Throughout the activity team members are constantly rotating and having a go. Everyone gets to cheer and the looks on people’s faces as they make a direct hit are priceless. Victory relies on skill, a little bit of luck and heaps of fun! 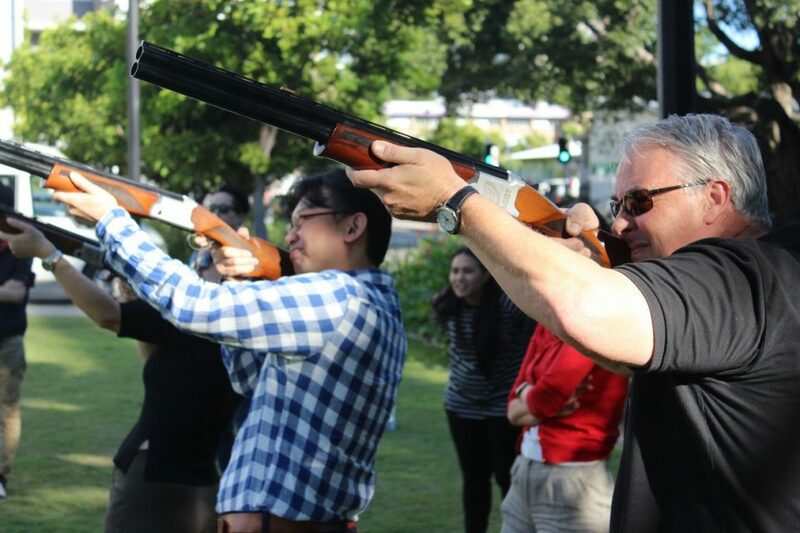 This is a great relaxing and fun activity that doesn’t require any special fitness or athletic ability but is a unique experience that few people have had the opportunity to enjoy. 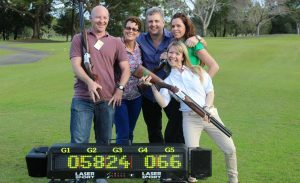 As our laser clay pigeon shooting is completely mobile, we can come to you whether you’re in Brisbane, Gold Coast, Sydney, Canberra, Melbourne, Yarra Valley or somewhere else in the country. If you like the idea of trying your hand at the old sport of clay pigeon shooting, then why not try your hand at the medieval sport of Archery as well. 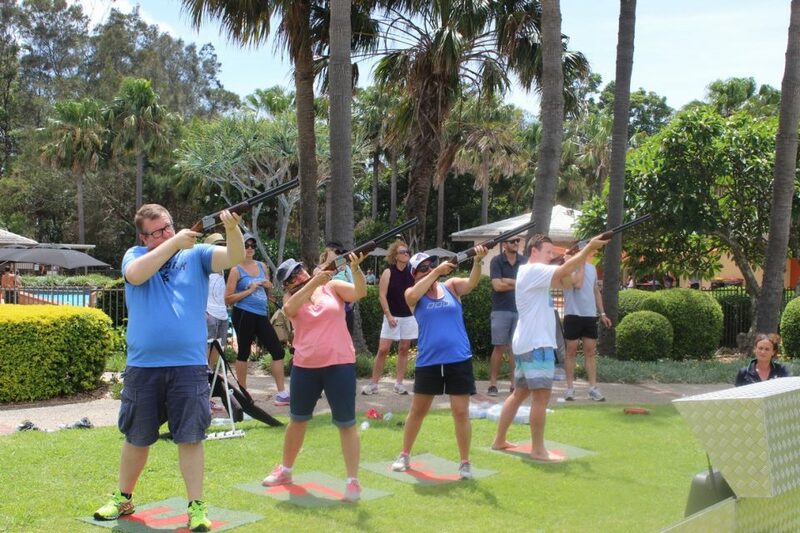 The minimum group size is 10 and the maximum group size we suggest is about 60 and then we recommend you add an extra activity like Archery or Carnivalle. 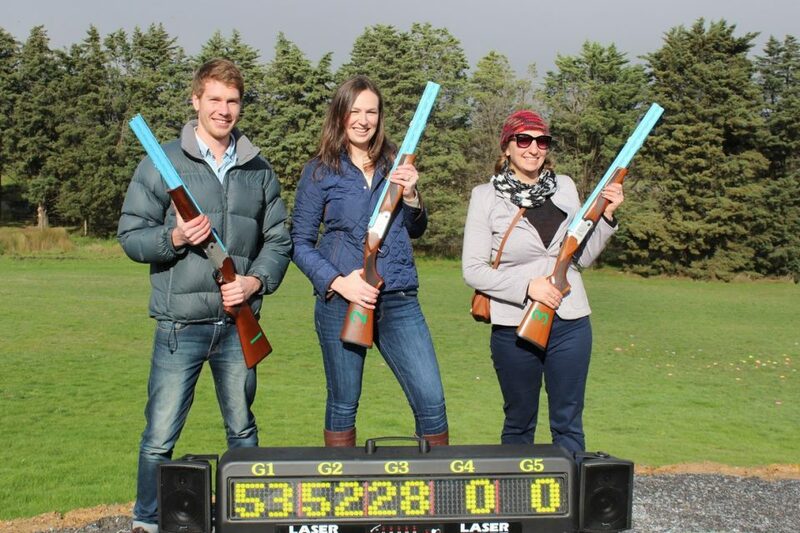 The Laser Clay system is designed so that up to 5 people at a time can shoot at the clay as it fly through the air, making it a fun, safe and interactive experience. 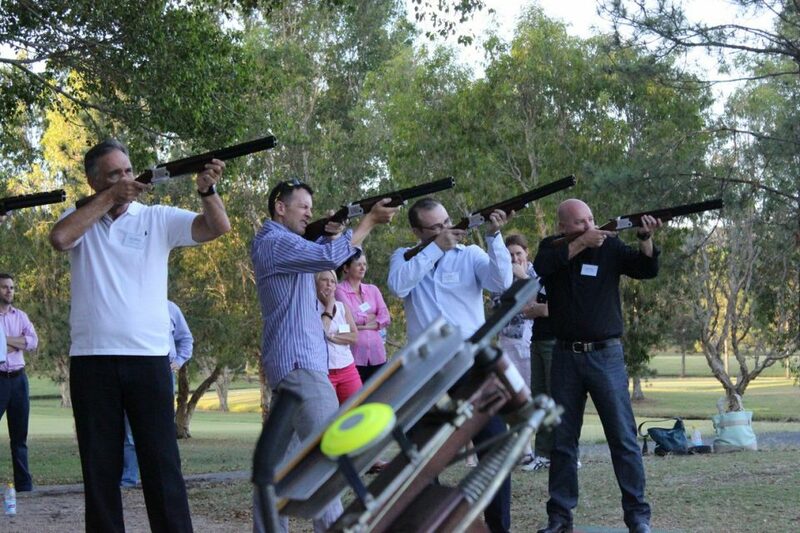 Q: IS THERE ANY OTHER ADDITIONAL TEAM ACTIVITIES THAT COMPLIMENTS CLAY SHOOTING? 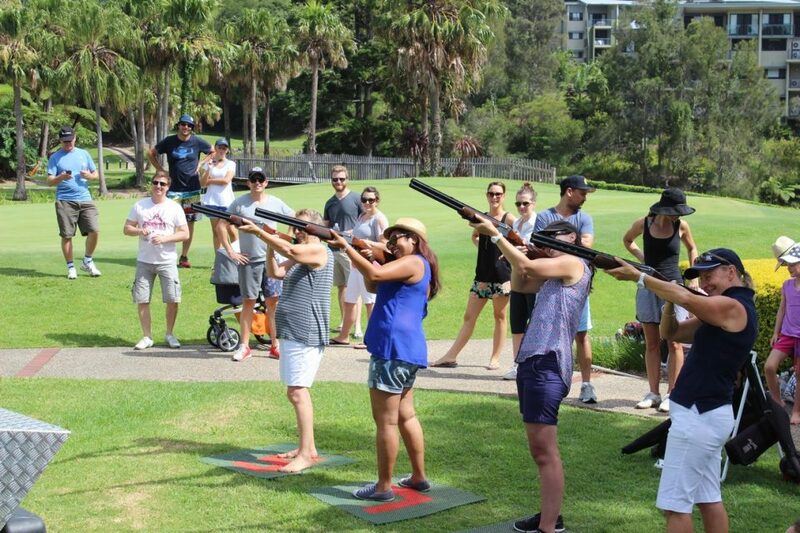 This activity is in our top three chosen team building activities and is often incorporated with either Segway, Giant Foosball or Archery. This team building activity is fun, enjoyable and can literally be enjoyed by anyone. It doesn’t require any special skills and is highly interactive and has an intensity level of low. 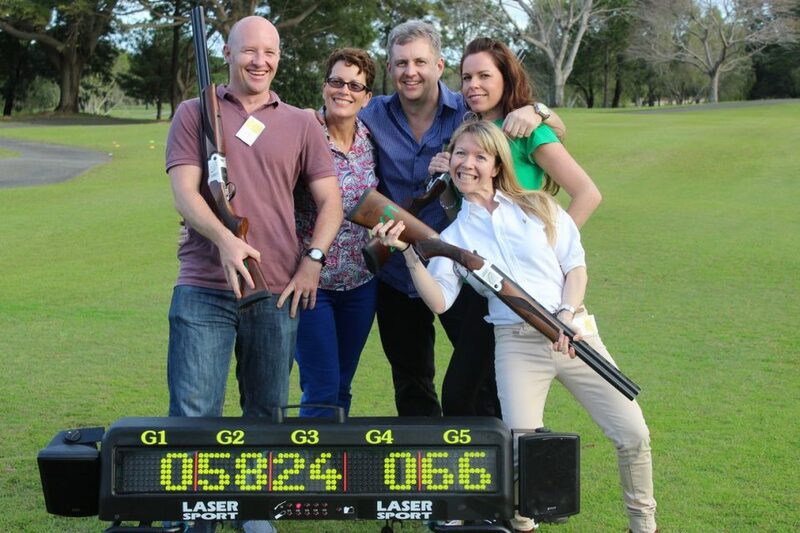 So if you’d like to book clay pigeon laser shooting and you’re in Gold Coast, Melbourne, Coffs Harbour, Sydney, Brisbane or beyond, contact us today. The Laser Clay activity can operate in the size of a tennis court which is about 30m long and 20m wide.